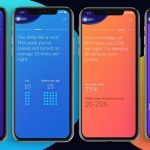 Eight, (www.eightsleep.com) the technology company focused on improving the way we sleep — today announced the launch of its AI-powered personal Sleep Coach feature, available in the Eight iOS and Android apps. The app is a companion to the company’s best-selling Smart Mattress product. In addition to the newly added sleep coaching capability, the Eight Smart Mattress continues to offer sleep tracking, bed warming, smart alarm, and integration to smart home devices including Amazon Alexa and Nest. With the introduction of sleep coaching, the company is putting to use over 2.5 million nights of sleep data that have been tracked to date. 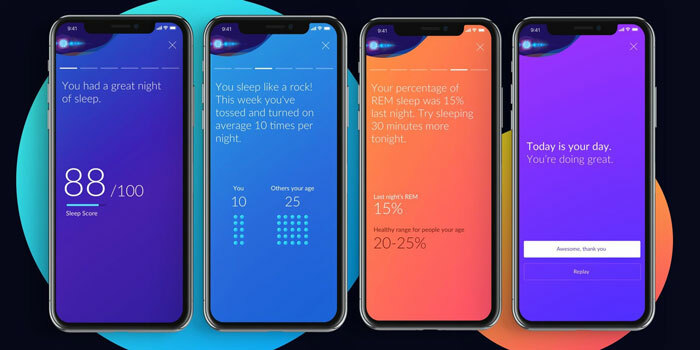 Eight’s neural network uses this data to build real-time benchmarks of individuals’ sleep based on their personal patterns and other key indicators such as their gender, age, and location, with the goal of providing direction to improving their sleep. After sleeping on the Eight Smart Mattress, and without having to do or wear anything, users will automatically have access to the personalized insights and recommendations provided by the Sleep Coach. These insights are displayed in the Eight app and change every day based on each user’s sleep patterns. As one of the first companies to merge hardware and software to improve the way we sleep, Eight’s mission is to help people understand how their health is affected by how they sleep, and how improvements in their sleep can ultimately improve the way they live. It does this by leveraging machine learning to extract information from sleep data. Its signature product, the Eight Smart Mattress, tracks over 15 factors of sleep including heart rate, breathing rate, deep and light sleep, time slept, and tosses and turns. Its analysis of over 200 billion data points collected to date has uncovered findings that are built into the recommendation engine of the sleep coaching feature.